The must-have men's accessory once carried by kings, presidents, baronsand billionaires is back. They call walking the "perfect exercise." It gets your heart pumping, clears your head and fills your lungs with fresh air. Not bad, but we found a way to make it even better. Before you take your next 10,000 steps, add a little strut to your stroll. 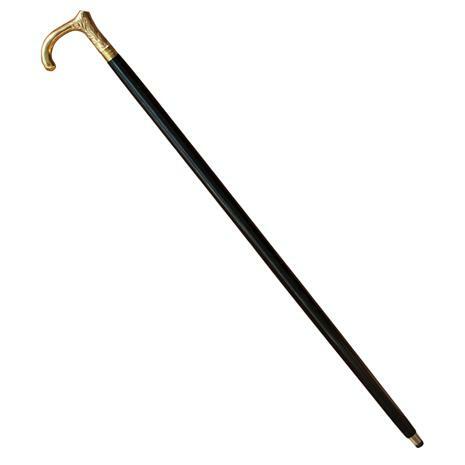 Take the Stauer Knightsbridge Walking Stick anywhere and I promise that you'll feel like a conquering hero. Heads will turn. Doors will open. Its powers will astound you. What's the secret? Pure class. 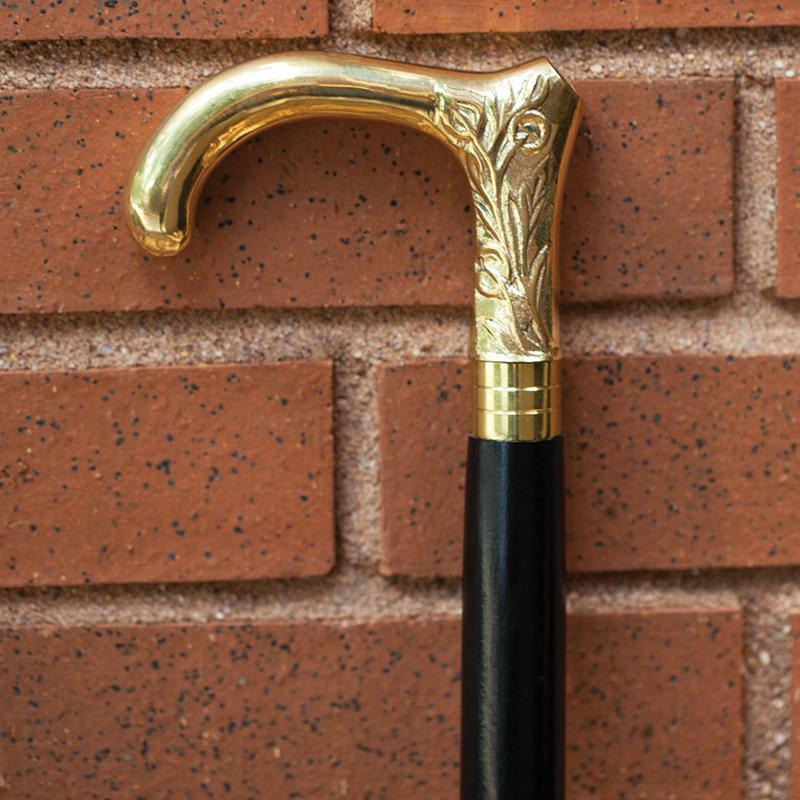 Our Knightsbridge Walking Stick is a tip of the top hat to turn-of-the-century tradition. Today these tributes to a man's power, prestige, and posture are fetching as much as $200,000 at auction. Because Stauer takes the quicker and less expensive route and go right to the source, we can offer you the vintage-worthy Knightsbridge Walking Stick for this exclusive price! The ultimate travel companion. Hold it once and you can feel that it's not some hollow imitation. Our Knightsbridge 40 " Walking Stick is crafted from a solid shaft of imported Sheesham (Indian Rosewood) and finished with layers of black lacquer. A classic "Derby" handle made of solid brass invites a strong grip or casual lean. A tasteful amount of engraved flourishes adds flair and grip, while a rubber tip steadies your stance. Limited Edition—Only 4,999 available! These handcrafted beauties take months to craft and are running (not walking) out the door. So, take a step in the right direction. Get your Knightsbridge today!